One hashtag that is trending in Jamaica and for all the right reasons is #EndPeriodPoverty. 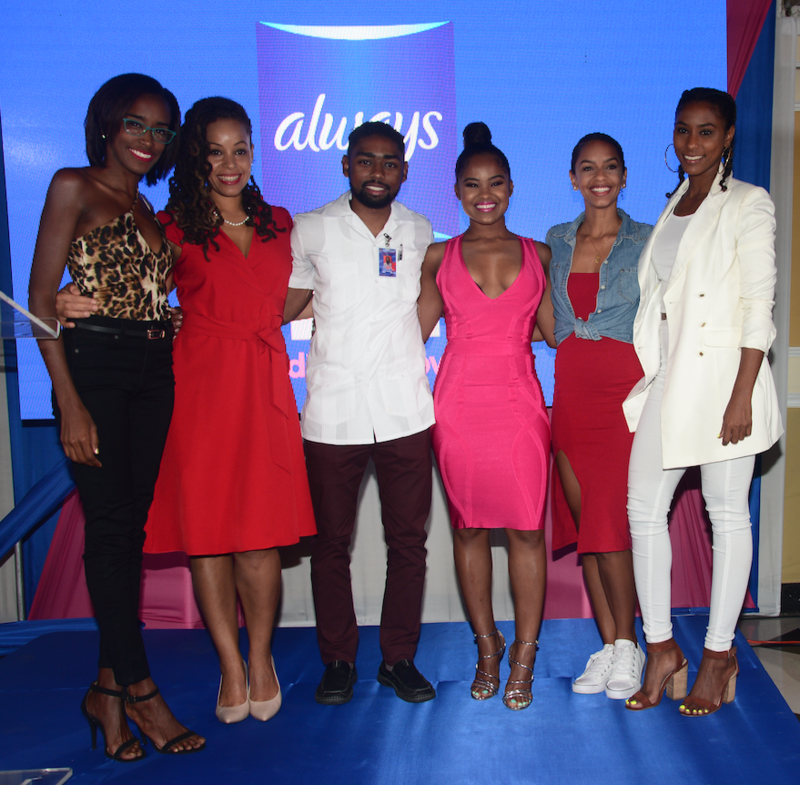 The Always brand’s initiative to #EndPeriodPoverty in Jamaica officially launched March 28th 2019 in Kingston. Certified personal trainer and Influencer Kamila McDonald is the campaign’s Brand Ambassador. She is joined by other young influencers Mekelia Green, Kandi King, Lindsey Londequai, Ayanna Dixon and Dr.Phillip Coombs who are using their influence on social media to bring attention to the cause and advocate for the needs of women facing period poverty in Jamaica. Dr. Coombs got a lot of attention at the launch of #EndPeriodPoverty as the only male involved in this initiative. He expressed his concern for the women in Jamaica and the need for men to be supportive instead of judgemental about their issues. In launching the campaign in both Jamaica and Trinidad, Always hopes to increase access to feminine hygiene products for girls in challenging economic circumstances so they can stay confident, and stay in school. More than 170,000 pads will be donated to young women at secondary schools across Jamaica. The Panmedia team is excited to be a part of this trending cause #EndPeriodPoverty and hopeful for the change these young influencers can encourage. On the Instagram pages of all the influencers’ in this campaign there are highlight covers dedicated to #EndPeriodPoverty aka #EPP. Influencers use Instagram stories and highlights to connect with their followers and get them involved with what they are doing. This is a great example of Using Social Media Productively. As social media becomes more integrated into our lives influencer marketing is having greater impact than other media. These days businesses and institutions are using these channels to execute meaningful campaigns.